Sam Houston State University strives to ensure that all students preparing for a nursing program understand the time constraints involved when trying to juggle a difficult course schedule and personal goals. Admission into most nursing programs is highly competitive. Pre-Nursing advisement provides students with the general academic background to be successful in their chosen health care field. Nursing programs within the state of Texas require that students take a series of prerequisite courses in order to meet admission criteria. The pre-nursing program at SHSU consists of anatomy, physiology, microbiology, chemistry, algebra, statistics, nutrition and psychology plus Texas Core. Students are strongly encouraged to consult with the pre-nursing advisor prior to undertaking the pre-nursing curriculum to be certain all course requirements are being met in the required time-frame. *Or must be core curriculum complete at transferring Texas institution. 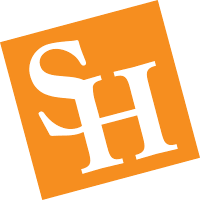 You can use our Transfer Equivalency Guide to see if your credits will transfer to SHSU. For questions or additional information, please email prenursing@shsu.edu.